If you purchase 5 or more of my single patterns at the same time, you will automatically receive a 25% discount. Be sure to place all the patterns in your cart before checking out. 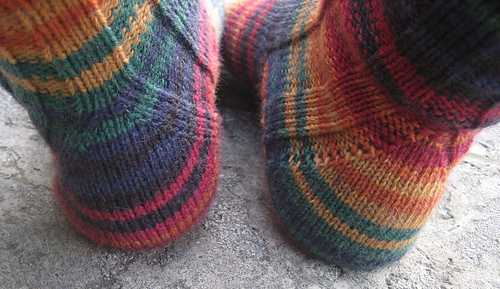 IMPORTANT NOTE: this pattern is only available in one size, 64 stitches. 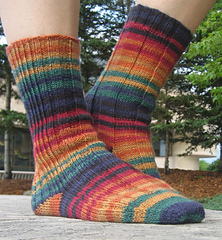 If another leg circumference is desired, consider using larger or smaller yarn or needles to achieve it. Blythburgh is a small village in Suffolk, and is home to a medieval priory that was hidden for years because the landowner refused to allow archaeological investigation on his property. The new owners discovered they had inherited human skulls stored in their potting shed, and called Time Team to find out if the bones were related to the fantastic priory ruins at the bottom of their garden. 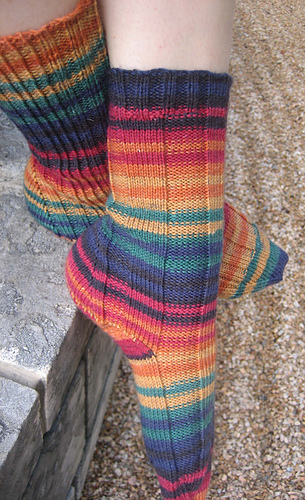 These socks have a mirrored ribbing pattern and feature a Strong-style heel. Designed to play nicely with self-striping yarn, they knit up surprisingly fast. 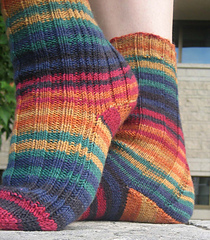 Due to the nature of the ribbing sequence, the heel increases are bordered by knit stitches on one sock, and by purl stitches on the other. The Aston Project was named in honour of Prof. Mick Aston, a regular member of Channel Four’s Time Team. 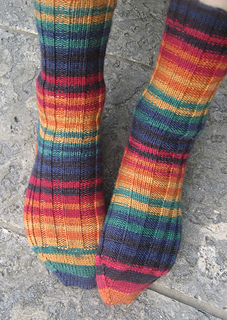 As I watched episode after episode of Mick wearing all sorts of stripy jumpers, gloves and hats, the concept for the project came to me: sock patterns made just for self-striping yarn! Blythburgh was featured on Time Team in season 16, episode 13: Skeletons in the Shed. Note: Due to the nature of PDF downloads, I cannot offer refunds for purchases. Please contact me if you have any questions or concerns before you buy this pattern. Thank you!